Plan your trip early and save BIG. 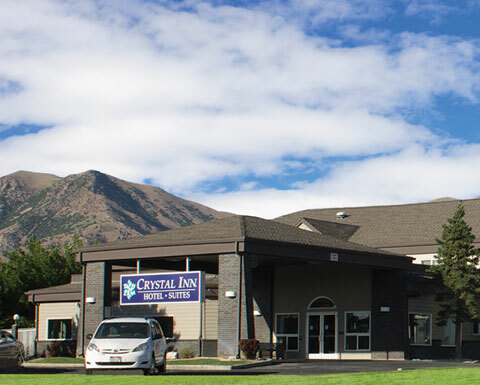 This is the closest Crystal Inn Hotel & Suites to downtown Salt Lake City. Downtown is the center of dining, nightlife, and culture. 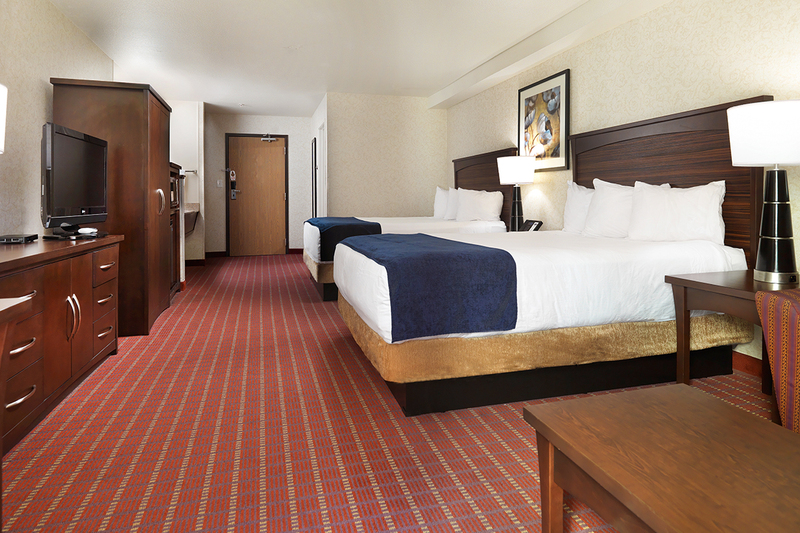 We are not only close to the slopes, but we are just one mile from Historic Temple Square. 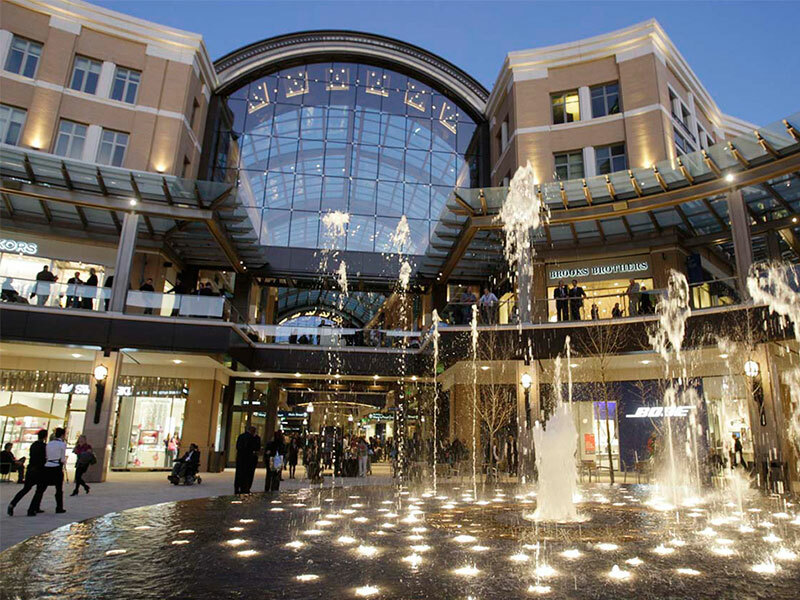 You’ll enjoy the unlimited shopping you’ll find at the new City Creek Center, the Gateway, and Trolley Square Mall. Start each morning with an early hot breakfast buffet in our lobby. 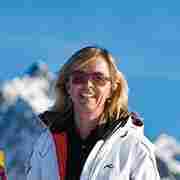 This package is for two adults staying at hotel and skiing daily. 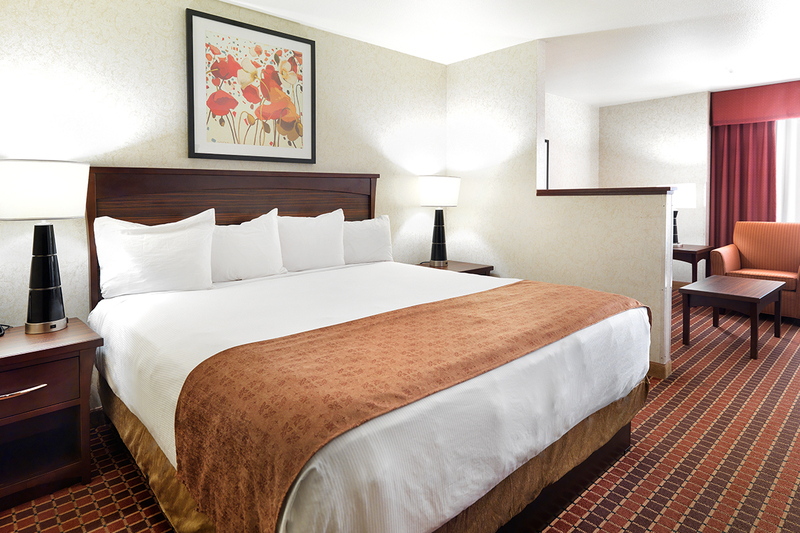 Prices valid for minimum stay of 4 nights. Taxes are not included. Prices are based upon availability and subject to change. It’s always the perfect time for a shopping getaway. 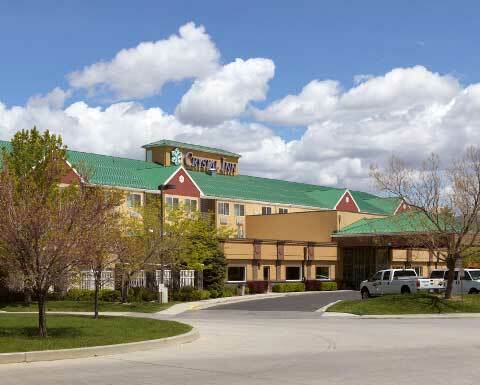 Enjoy special pricing when you stay with the Crystal Inn Hotel & Suites and shop at City Creek Center. 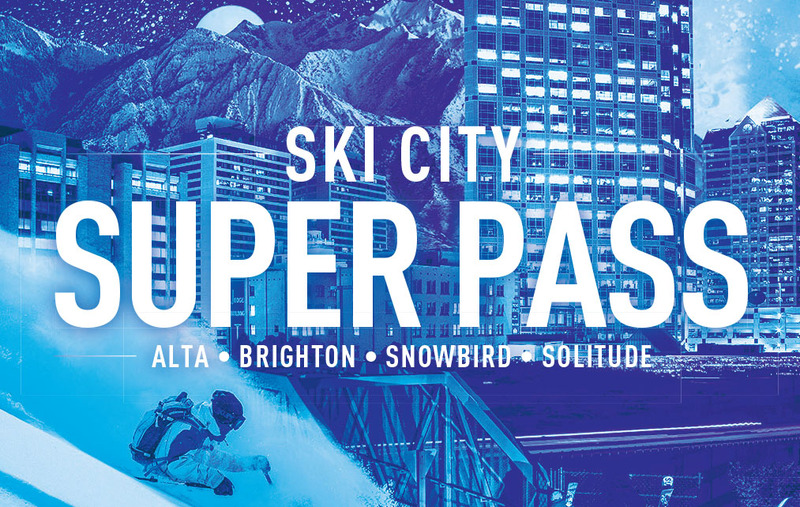 City Creek Center’s special Passport to Shopping Voucher that includes discounts to over 60 City Creek Center retailers and restaurants. Celebrate the memorable occasions in your life with the Romantic Evening for Two Package from Crystal Inn. Show that special someone in your life how much you care. 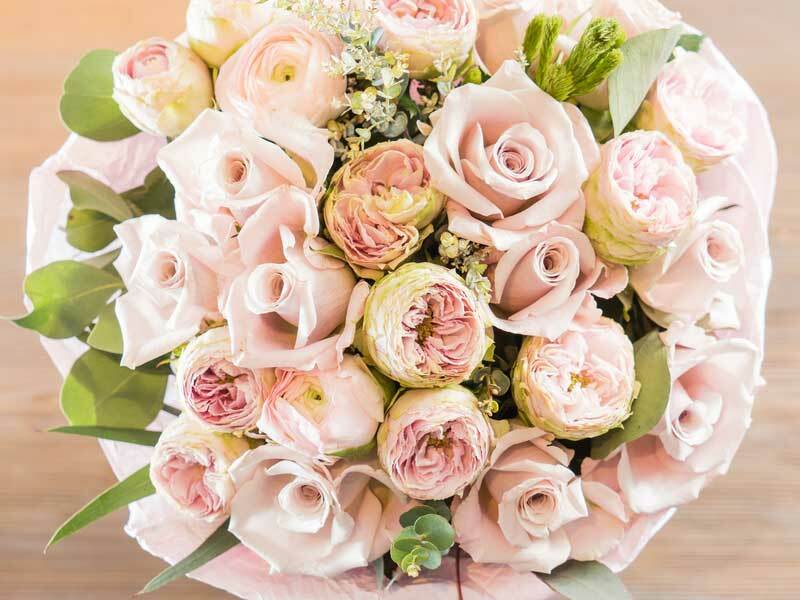 This package is perfect for anniversary celebrations, wedding nights, or a quiet, romantic evening for two. Valentine’s Day may be in February, but this Wine & Dine package means you can surprise your special someone all year round. 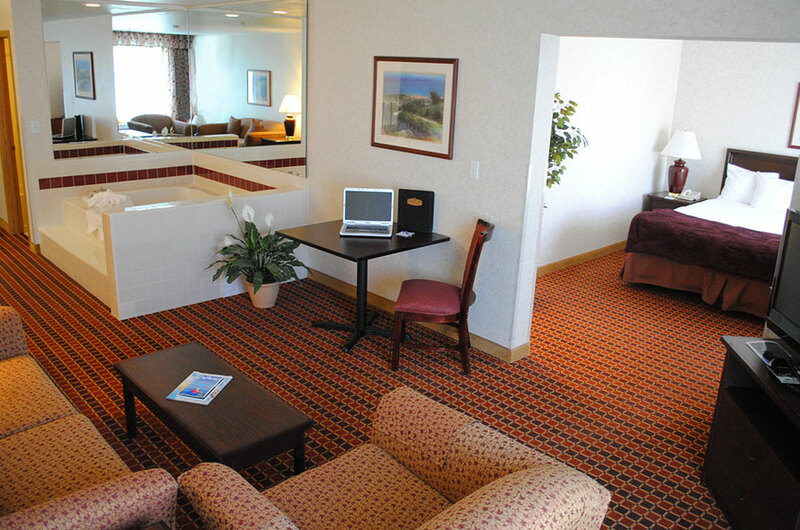 This package also includes your dinner at Christopher’s Steak and Seafood. 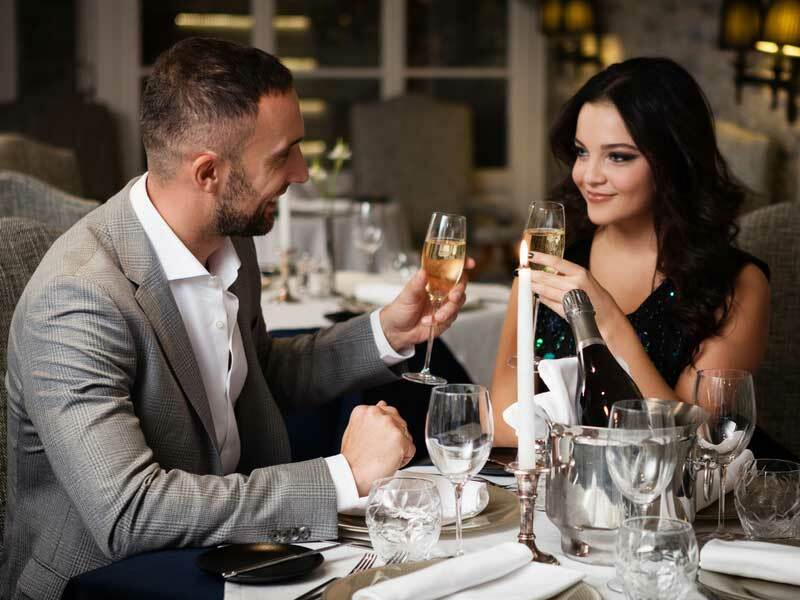 Valentine’s Day may be in February, but this Wine & Dine package means you can surprise your special someone all year round. This package also includes.. 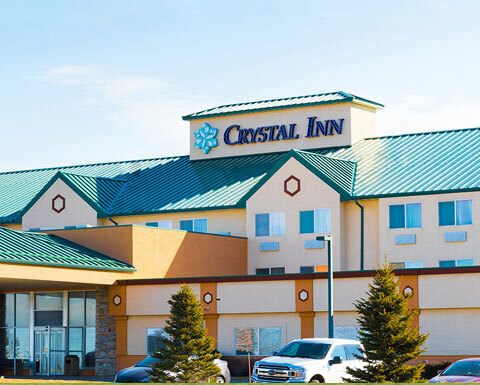 Crystal Premier Members enjoy low rates and VIP Benefits. 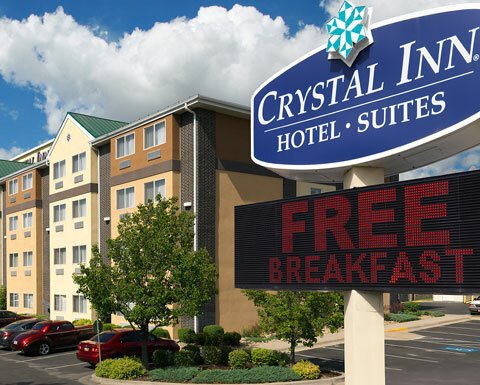 Bundle with Crystal Rewards and earn FREE nights. Contact us for details! Salt Lake City is a treasure the world discovered during the 2002 Winter Games. At the northeastern edge of the Great Salt Lake lies a quiet, attractive, well-kept community. Straddling the Missouri River, Great Falls derives its name from the five unique and breathtaking waterfalls surrounding the area. 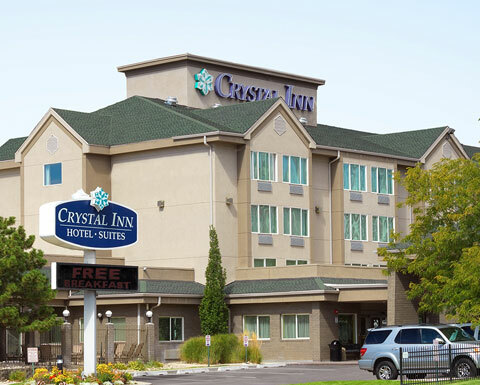 The Crystal Inn Hotel & Suites Midvalley is in suburban Midvalley-Murray, 15 minutes from downtown. This was our absolutely best vacation ever, for each and everyone of us. We were looking for a good family hotel with lots of activities for the whole family and that was exactly what we got! 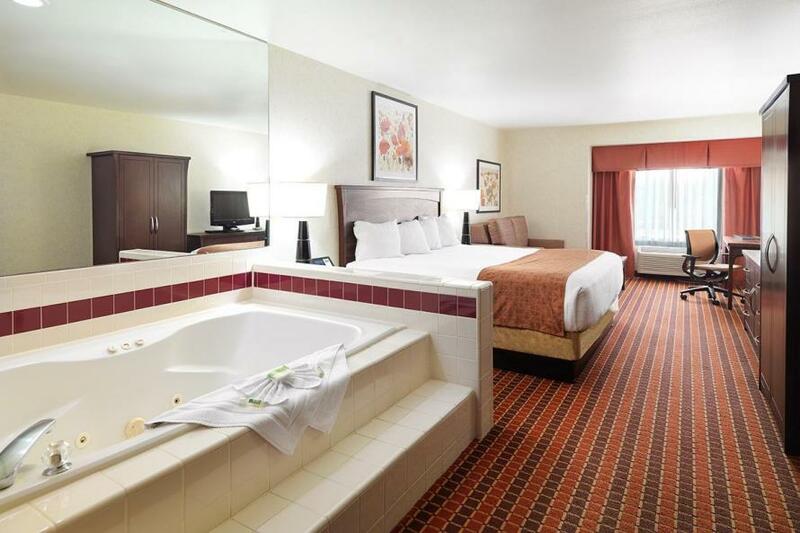 I was looking for a nice hotel, but with various activities when staying there. Boy, was I surprised! Berg was anything but boring and all the things I did and places I visited was well worth it!